WATERLOO, Canada – May 17, 2016 – Teledyne DALSA, a Teledyne Technologies company and global leader in machine vision, announced the release of three new color models in its Linea family of low-cost high-value line scan cameras, including 2k and 4k resolution GigE Vision models and an 8k Camera Link® model. Linea cameras address the mainstream market for machine vision applications and deliver high speed and great responsivity at an exceptional price point. 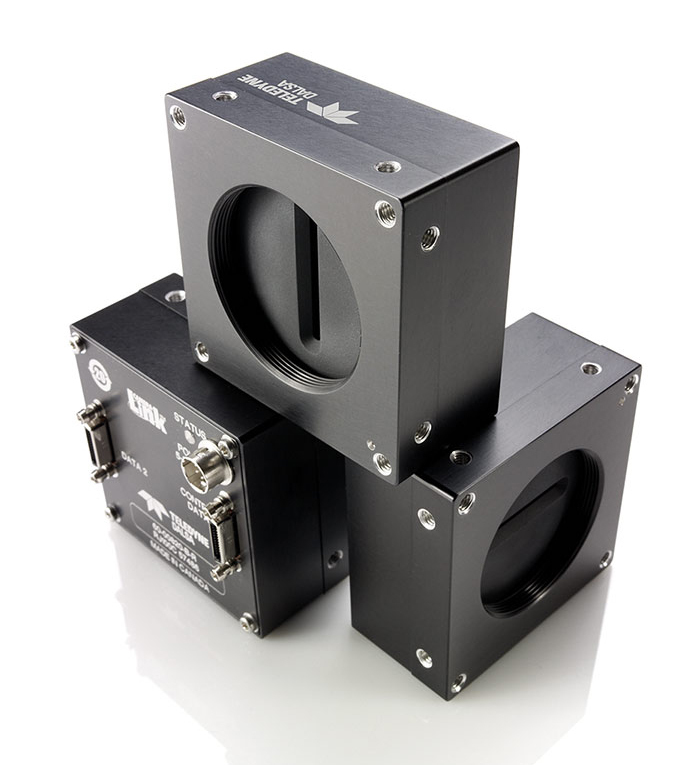 Color GigE models are available in 2 or 4k resolution with a 7.04 x 7.04 μm pixel array, and line rates of up to 26 kHz in standard mode or up to 45 kHz using Teledyne DALSA’s patent-pending TurboDrive™ technology—this represents data transfer speeds of 2 or even 3 times faster than standard GigE Vision rates with no loss of image quality. With the same pixel array as its GigE counterpart, the 8k Color Camera Link® Linea achieves a maximum line rate of 45 kHz. With unparalleled sensitivity and speed, Linea Color surpasses the requirements of demanding applications—such as materials grading, web inspection, and general purpose machine vision. Teledyne DALSA image sensors, cameras, smart cameras, frame grabbers, software, and vision solutions are used in thousands of automated inspection systems around the world and across multiple industries including semiconductor, solar cell, flat panel display, electronics, automotive, medical, packaging and general manufacturing. An international leader in digital imaging and semiconductors with approximately 1,000 employees worldwide and headquartered in Waterloo Canada, the company designs and manufactures imaging products and solutions, in addition to providing specialized semiconductor products and services.